Despite no official word from Hyundai Motor India Limited (HMIL), it goes without saying that the dwindling sales figures of the hatchback hint at its inevitable end. First launched in India in October 2012, the Hyundai Eon has had a good run in its six-year production period, to say the least. Now though, with the arrival of the new Santro, its time to bid farewell to the quirky small hatchback from the Korean manufacturer. 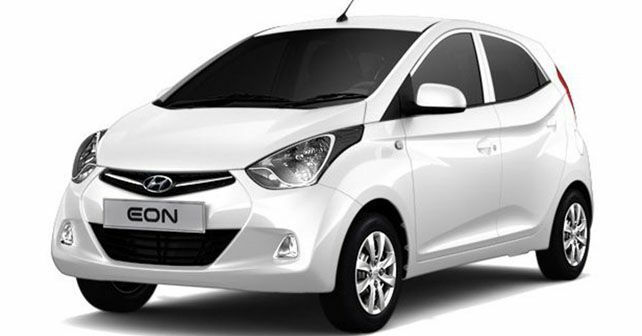 While the internet was rife with rumours ever since August 2018 that Hyundai is planning to shelve the Eon soon to make way for the Santro, this fact has still not been confirmed by the company officials. While the news was hard to believe till a few months back, it is certainly believable now based on empirical evidence. In September 2018, Hyundai managed to shift 5,309 units of the Eon, which is a respectable figure comparable to its monthly average. However, in October and November combined, only 6 units of the Eon have been dispatched to the dealers. Thus, it is safe to say that Hyundai has done away with the Eon. It is only a matter of time when the company will release an official statement for the same. Meanwhile, the car which has replaced the Eon, the new Santro, has been gathering steam as the carmaker has dispatched 17,544 units of the entry-level hatch over the past two months. It has received over 30,000 bookings since its launch in October, prompting HMIL to ramp-up production in order to keep up with the high demand.